As a great additional measure: You can add login notifications to your accounts, so that you can monitor logins from devices you don’t recognize. If you’re a regular user of a public computer, like at the school library or lab, keep in mind that public computers can remember information from your logins. Adding two factor authentication to your accounts is a great way to bolster your security. Adding a second factor in addition to your unique, long, and random password makes it much harder for someone else to access your account. There are many types of two factor authentication, including SMS text messages, apps like Authenticator, or hardware tokens like Yubikey. Applying for an internship, job, fellowship, or for further education at a school? Worried about an embarrassing photo being found by a recruiter? Now’s a great time to check your social media privacy settings. Helping your friends with this daunting task? Consider looking through the Security Education Companion’s lesson plan on Locking Down Social Media. If your study group, student organizing club, or class uses Facebook Groups, you can help members understand who can see what is posted. Applying for student loans, scholarships and grants? Maybe you’ve started to get a flood of new emails and some of them seem phishy. You might want a refresher on how to spot phishing from Surveillance Self-Defense. Looking for an app that has disappearing messages that are actually just between you and your recipient? You might want to try an end-to-end encrypted messaging app like Signal. 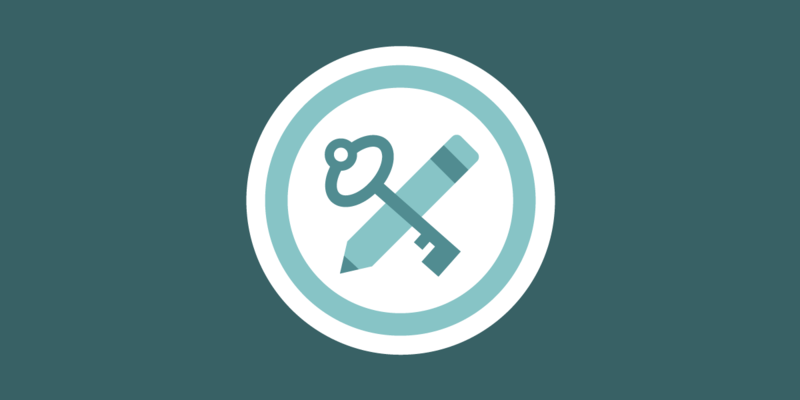 A service is no fun without friends on it: teach your friends and family how to use end-to-end encrypted messaging with the Security Education Companion’s lesson plan. Exciting new technology in the classroom can also mean privacy violations, including the chance that your personal devices and online accounts may be demanded for searches. If you’re a student, parent, or teacher, we’ve written tips for you. If you’re a teacher, librarian, professor, or extracurricular leader looking for fresh material, try out our lesson plans from the Security Education Companion at sec.eff.org! We have an assortment of lesson plans on basic digital security concepts, such as threat modeling, end-to-end encrypted messaging, and password managers.